Savannah dentists Chad and Alexandra Schnabel of Savannah Dental Solutions are proudly offering a 10%-off sale this summer. 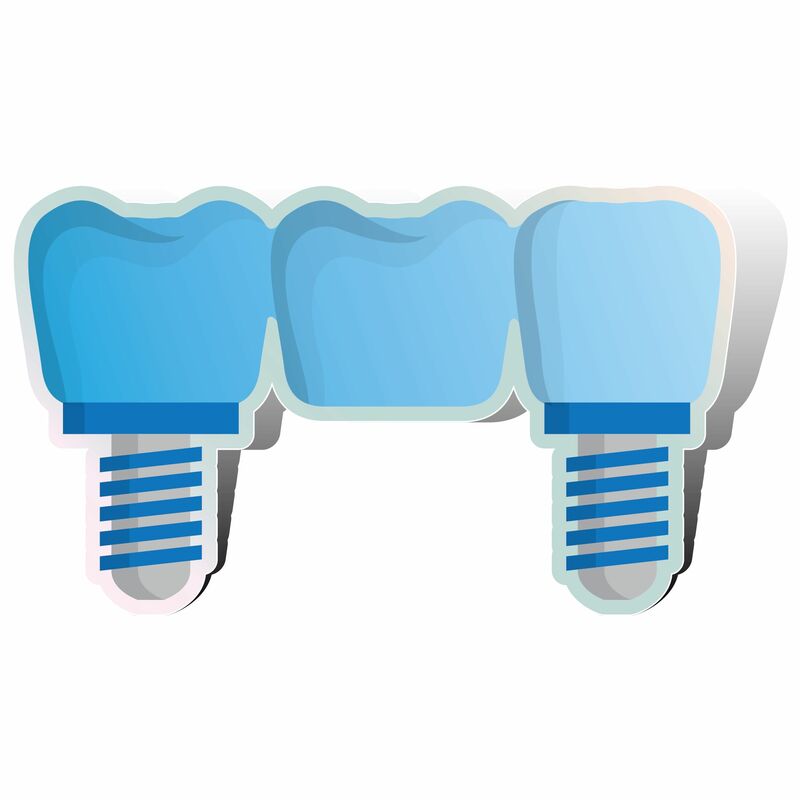 Learn the top 5 reasons to consider dental implants. First introduced to modern dentistry in the 1950s, dental implants soared in popularity during the 1990s, and have rapidly become the gold standard for tooth replacement.Yet many people remain misinformed about this relatively painless, highly satisfactory technology. From Savannah Dental Solutions, a Georgia dentist who is proudly offering a 10%-off sale this summer, here are the top 5 reasons to consider dental implants. Until the advent of dental implants, dentures were the only real solution for failing or missing teeth. Partial or full dentures have come a long way, but are far from perfect. Many patients complain that they slip, pinch, or even fall out while talking, laughing, or chewing. Partial dentures are attached to the existing teeth with an unsightly metal clasp, which could easily show when the mouth is opened wide. What makes dental implants superior is the fact that they are actually anchored into the jawbone, rather than simply sitting on top of the gums. This means that they are locked into place, and are unable to slip or shift. This makes it possible to eat sticky foods such as taffy that are virtually impossible to manage with dentures. This anchoring affects more than simple aesthetics. It also contributes to bite strength. While traditional dentures restore only about 20 to 25 percent of normal bite strength, dental implants can restore as much as 100 percent. This allows those with dental implants to chew through tough steaks, crusty breads, and similar hard to pierce foods that denture wearers find problematic. Dental implants can even stand up to corn on the cob and biting into a whole apple. Dental implants can last a lifetime with proper care. As they actually osseointegrate with the jawbone, they effectively become part of the mouth. Dentures, on the other hand, consist of a hard metal and plastic frame sitting on the gums. Even higher-end dentures that feature porcelain teeth are subject to an immense amount of stress from normal biting and chewing. Therefore, the average denture has a lifespan of only five to eight years. Dental implants run the gamut from an individual replacement for a single missing tooth to a full upper or lower arch of teeth supported by a handful of implants. The ability to craft a variety of final restorations with a varying number of implants makes dental implants an excellent choice for full-mouth restorations and other complex dental issues. Denture wearers know that after a few years, dentures tend to become loose and need to be relined or replaced, even if they are otherwise in good shape. This is because when teeth are removed, the tissues that once supported them are gradually resorbed by the body. This leads to premature aging, wrinkles, and a sunken appearance. Dental implants prevent this resorption by taking the place of tooth roots. With implants anchored securely in place, vital bone and tissue structures are retained. Dentures can also cause painful mouth sores, and even chronic irritation known as denture stomatitis. Dental implants prevent these problems by functioning as real teeth, securely anchored on implants that serve as replacement roots. Married dentists Chad and Alexandra Schnabel welcome new patients to Savannah Dental Solutions. From caring children’s dentistry to high-tech cosmetic procedures and even full-mouth reconstruction, they blend the latest technology with traditional customer-oriented values. Those who are ready to start their journey to better oral health can visit Savannah Dental Solutions at 9A Medical Arts Center Savannah, GA 31405. Call (912) 354-1366 for more information, or go to http://savannahdentalsolutions.com/.